This website uses Drupal CMS. I would always choose WordPress, but sometimes the client knows best! 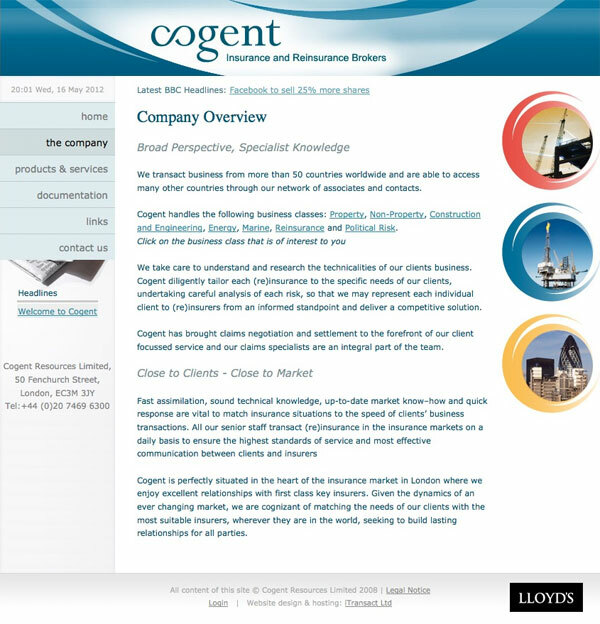 Cogent is an established independent international insurance and reinsurance broker situated in the heart of the London insurance market and at Lloyd’s. I have no idea what that means.